We offer a 10% discount to students of further and higher education on production of a valid NUS student card, provided completed work is collected in person from the laboratory. 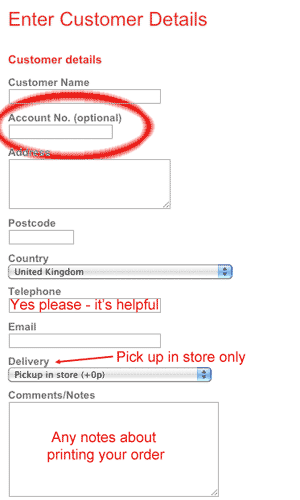 When placing an order, instead of paying online, use the Account code STU001 when completing your name and address details. We will the deduct 10% from the total when you collect and pay. Note - Our pricing structure includes an automatic discount for quantities on a single order: subsequent order quantities cannot be added together to increase discount. It is in your interest to take advantage of the prices at the time of placing an order. Payment must be made on collection. It does not apply to postal despatch: such orders will be refused. This offer is in line with our normal Terms and Conditions and cannot be varied.